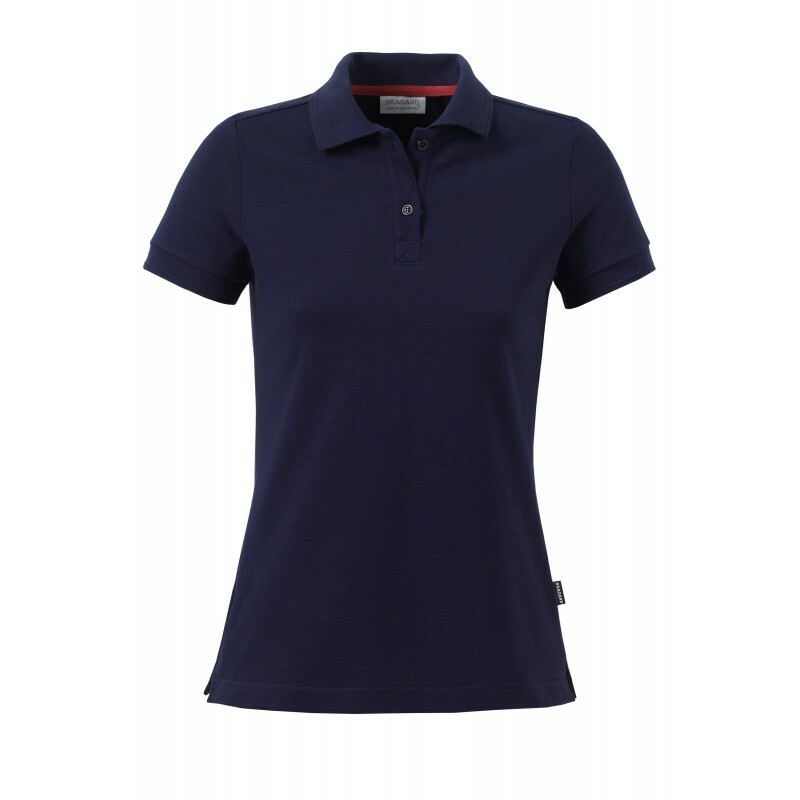 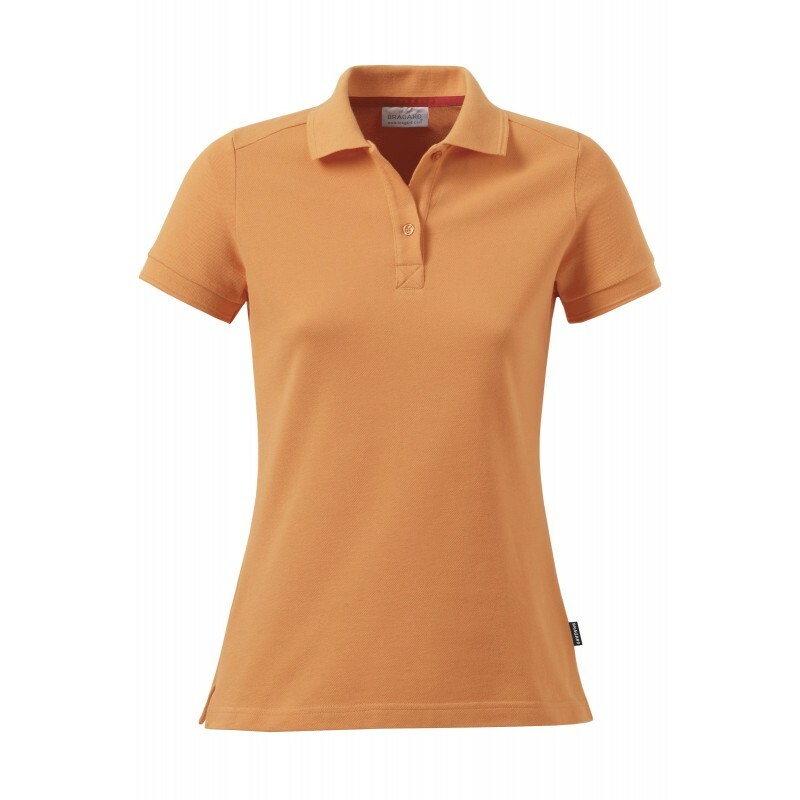 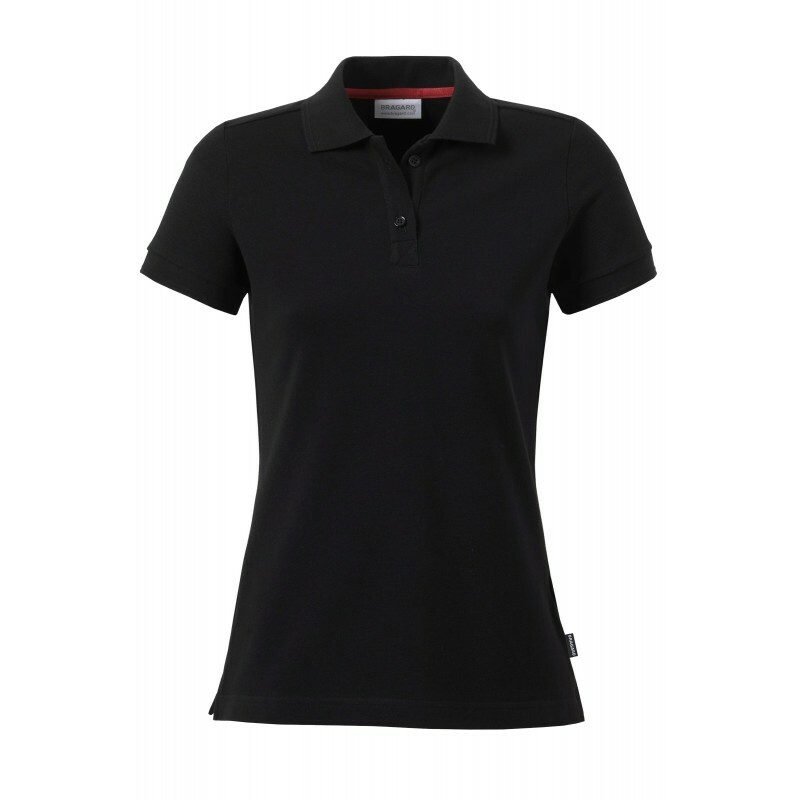 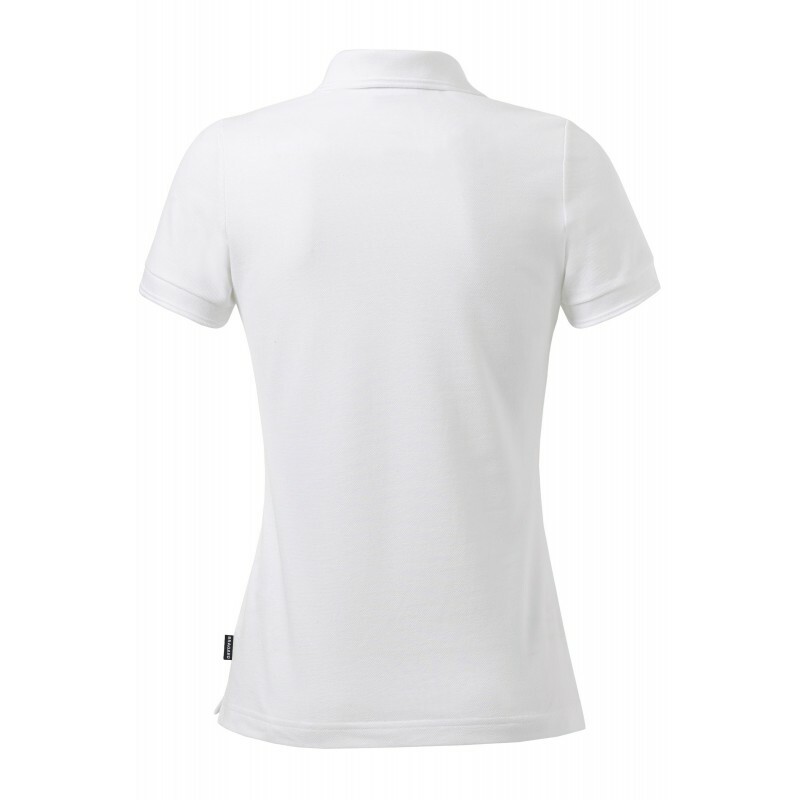 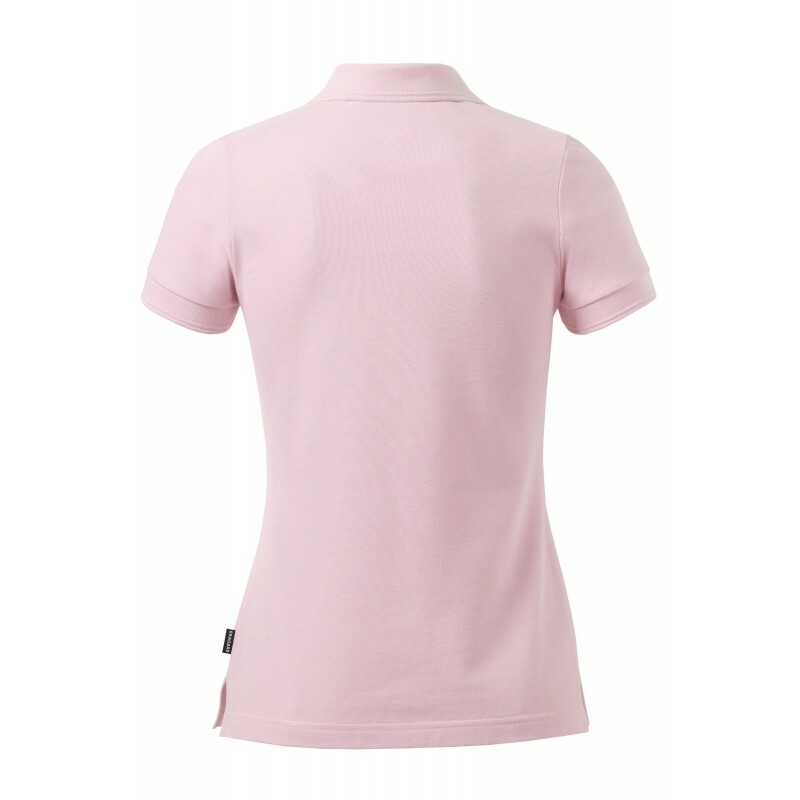 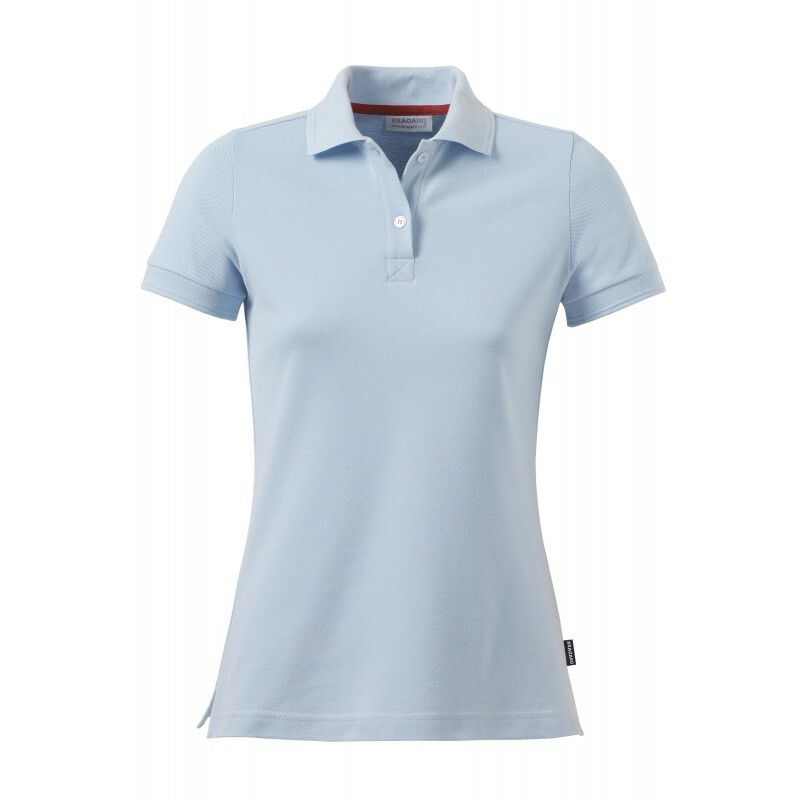 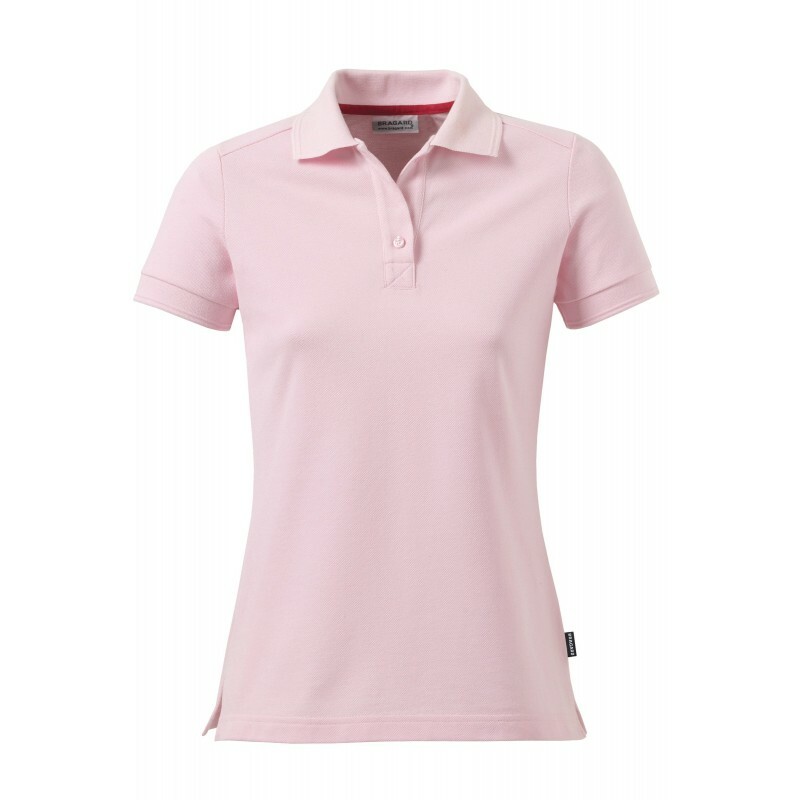 Ladies polo shirt. 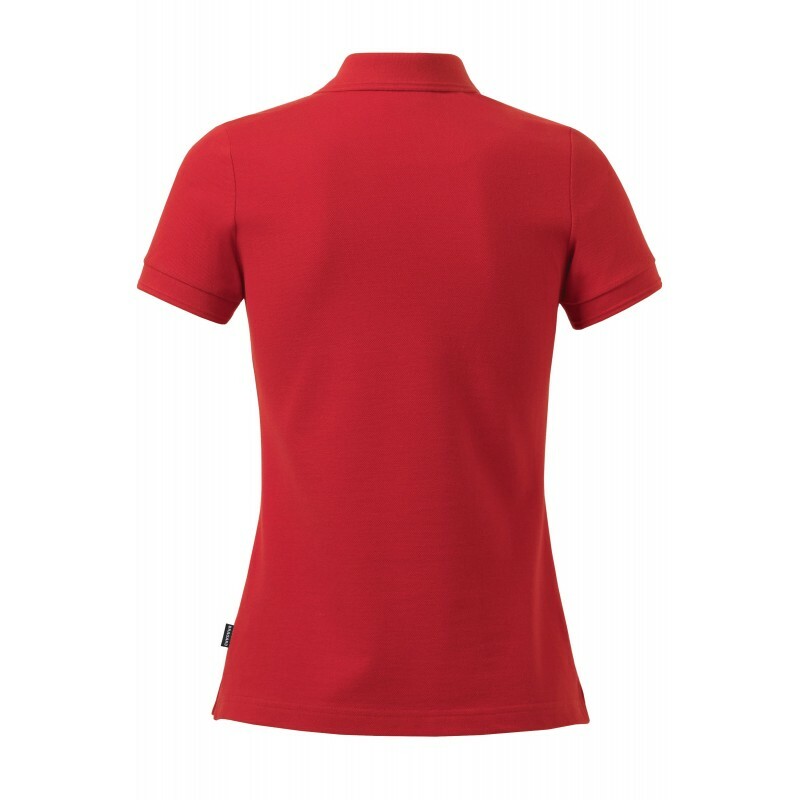 Collar and bottom of sleeves with 1x1 ribbing with fancy roll edging. 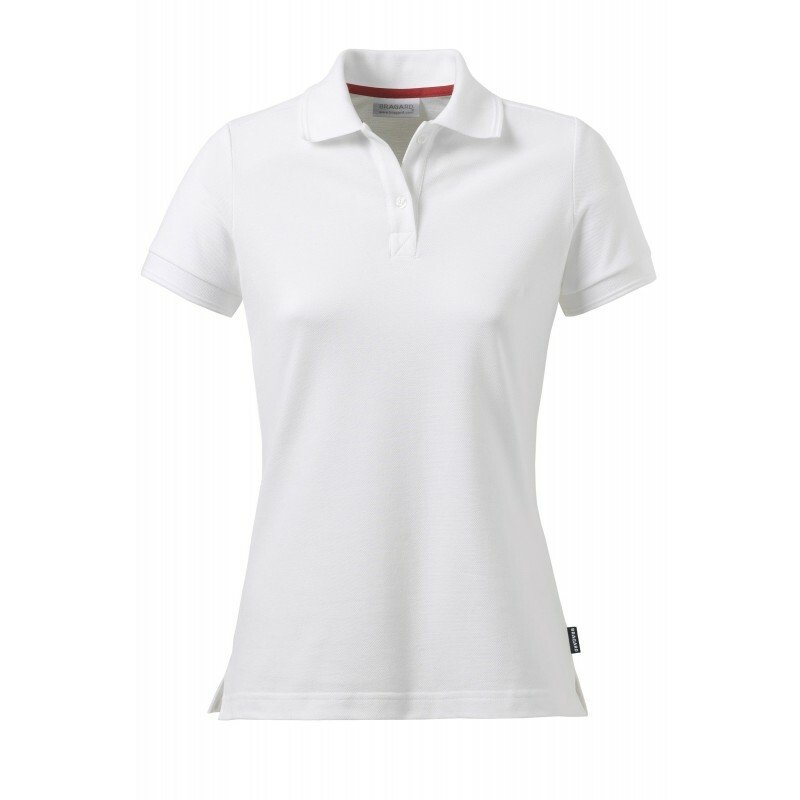 Buttoned placket closed by 2 pearly buttons. Short sleeves. Vent on sides.